Winter is the season when the viruses are in full action and infections become more prevalent. 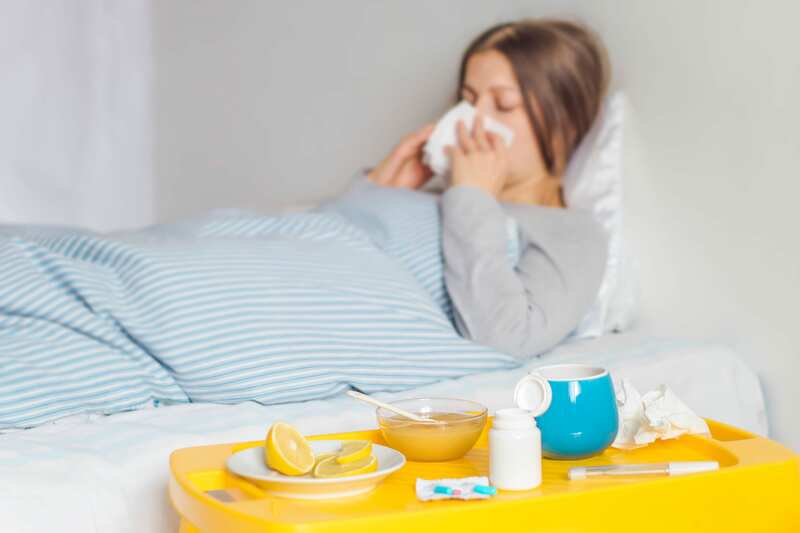 During winter there are almost more than 150 plus common cold viruses and flu bugs that are constantly evolving and circulating in the environment. Doctors have patients complaining of cold, hacking coughs, sore throats, flu, etc. If you are in contact with such patients it is but obvious that you will catch the infection. Immunity in such cases plays a strong role in helping you to stay away from cold or flu. Here is a quick list of remedial measures that are simple yet effective to ward off the winter prone infections like cold and flu. Wash your hands: Remember the basic hygiene lesson that was taught to us by our parents and teachers? Yes right. Wash your hands thoroughly before and after your meals, be it breakfast, lunch or dinner. This is the simplest method to drain down the viruses and dilute the germs that may have accumulated on your hands. Make sure you wash your hands after you return home. Avoid touching your hands here and there: Yes that sounds childish, but research has shown that most of the cold viruses are transmitted when we use our hands for handshake during meetings or wiping the nose or rubbing our eyes. The infection is transmitted through the mucus membrane. If you have shaken hands just before or after a meeting is over make sure you run lots of water over your hands to ensure they are clean. The same thumb rule to be followed when you open or close a doorknob. Therefore make sure you keep your hands off. Get enough sleep: When you wish each other good night, it really has an in-depth meaning when it comes to keeping away cold and flu. Doctors have suggested that good sleep means at least eight to ten hours to increase your immunity and make you feel fresh and fit to fight the infections. Exercise and sweat: It is not easy for anyone to get out of bed and start exercising. But it is so important that you sweat it out. A regular workout will increase your immunity and take it to a higher level. Avoid close contact: Stay away from people who are already infected. Ensure that you don’t share your personal belongings like towels, toothbrushes, cups etc. with them. Include a diet containing garlic and zinc: Zinc boosts the immune system and is found in eggs, seafood, oysters, black-eyed peas, tofu, etc. Garlic helps in easing out chest related issues. Stay warm: The cold virus which may be in the dormant stage gets triggered in the chilly winters. So keep yourself wrapped in warm winter clothes. Stay hydrated: If you catch a cold and are dehydrated, your mucus lining dries up and become thicker. This will make an easy passage for the bacteria and viruses to invade. Therefore, drink at least eight to ten glasses of water to flush out the infections. If you follow the above-mentioned things, there are fewer chances of getting cold and flu this winter. Despite taking care if you fall sick to make sure you consult your doctor for the speedy recovery.